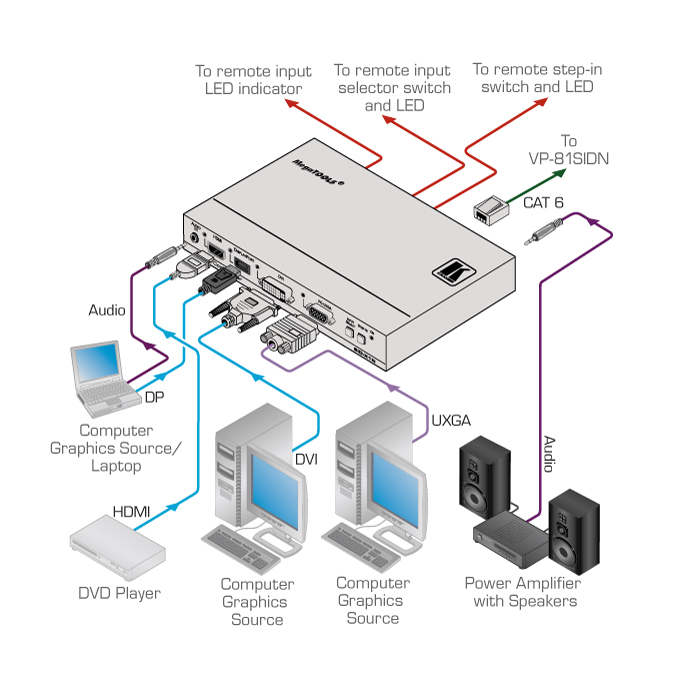 The SID-X1N is a DGKat twisted pair transmitter and step-in commander for computer graphics video, HDMI, DVI, DisplayPort and unbalanced stereo audio signals. The unit includes a "Step-In" button that allows the local source to be routed as the active source on the main display through the main switcher. Max. Data Rate - 4.95Gbps (1.65Gbps per graphics channel). HDCP Compliant. - Works with sources that support HDCP repeater mode. HDMI Support - x.v.Color and 3D.